As is well known the earth experienced four ice in the last 1.8 million years which greatly influenced the world of living things, fleeing unfavourable conditions in the north, took refuge in the Iberian peninsula, Southeast Asia, and in Anatolia which then offered very favourable survival conditions. Some of these species returned north during periods between the ice ages, while some evolved to adapt to the new conditions of their environment. Others remained in Anatoli by taking refuge in various biotopes and underwent further differentiation. In fact, several species of plants and animals of northern origin are now found in Anatolia. Between the ice ages Anatolia served as habitat for species originating in the south and in the east. For these reasons, Anatolia has historically been and is currently a habitat of species which originally came from the north, the east and the south. It therefore is of supreme importance in the understanding and analysis of the flora and fauna of Europe, Western Asia and parts of Africa. We might indeed claim that studies of European and Asian flora and fauna would be incomplete if they did not take into account the biological diversity offered by Anatolia, where the coexistence of a rich variety of living things can be observed. Additionally, during many historical perriods, Anatolia served as a passageway between the continents of Europe, Asia and Africa. A variety of flora and fauna owe their geographical spread to this passageway. For this reason, Anatolia gains importance in the analysis of zoo-geographical developments. The topography of the Anatolian peninsula exhibits significant variety where ecological factors change greatly over very short distances. For this reason, living things have evolved and differentiated richly and have created a wealth of species and sub-species. A number of such species and subspecies have proven to be of economic value to humanity and some will doubtless be of use in the future. Why Anatolia can be Characterized as a Continent? This piece of land of 779 000 square kilometers, located between Europe and Asia, serves as a bridge between three continents, and is surrounded on therr sides by seas with substantially different characteristics. A large variety of climatic zones co-exist due to its topography. It might even be argued that Anatolia is unique in the world for the great number and variety of climatic zones in proportion to its area. During the geological era, around 300 million years ago, in the time of the Pangea continent, Anatolia’s climate was much like that of the tropics today. Seventy million years ago, or towards the end of the second period (Mesozoic), it acquired a sub-tropical climate. The current climatic conditions came to exist in the middle of the third period, or around thirty million years before our time, and were consolidated in the last few hundred thousand years. In today’s Anatolia there exists a rainy, humid and mild climate in the North, especially north of the Black Sea mountain range; a type of Siberian climate with cold and dry winters in the East; a hot and dry, desert-like climate in the Southeast; a climate with hot and dry summers and cold and snowy winters in the interior regions; and a Mediterranean climate with hot and dry summers and rainy winters in the West and Southwest. There are also several micro-climatic zones within these regions, depending on altitude and protectedness. Such differences may be manifested over very short distances. For instance in the Igdir plain in the East the climate is close to the Mediterranean, while the climate of the adjoining Agri Dagi and its plateau is a variant of the Siberian. Turkey is, and has been for a long time, located in the Palearctic zone. For this reason, its current bio-geographic composition and structure may be seen as representative of Palearctic flora and fauna. However, especially in the Southeast and the East, the Influence of oriental and Ethiopic (African) elements are observable although this influence diminishes as one goes north. The Igdir-Aralik triangle and the Hakkari-Van plateau exhibit the influence of Syrian desert flora and fauna; the Hatay-Amanos bridge exhibits elements of Africa. Elements of the Mediterranean sone have arrived through southwestern Anatolia, and European elements through Thrace and partly over the Caucasian range. This flow still continues. Examples of such fauna are more commonly observed in countries to the east of Turkey (Iran and parts of Iraq) and those to the south (for example, Syria and Palestine). There are a number of mountain ranges in Anatolia which constitute effective barriers against the geographical diffusion of living things, which therefore become significant in geo-zoological analyses. These obstacles are responsible for the important differences that have arisen between continenets from the point of view of biological composition. They also are the reason for the great diversity of species of flora and fauna found in Anatolia. The evolutionary variation of many groups of living things was due to the effects of such obstacles. Especially during the ice ages and subsequent periods, these barriers prevented passage to a great extent, and thereby limited the diffusion and consequent variation of populations. The most important of such barriers are the eastern Taurus mountains, which separate the southeastern Anatolian region from eastern Anatolia, with its cold and dry steppe characteristics; the western Taurus Mountains which separate the Mediterranean littoral with its Mediterranean climate from the interior region of Anatolia with its dry, steppe climate; the Black Sea range which separates the mild and rainy Black Sea coastline from the dry region of the interior and from the cold and dry eastern Anatolian steppes; a series of mountains which cut across Anatolia laterally (Binboga, Munzur, Kargasekmez Mountains, etc.) that constitute the Anatolian diagonal and separate eastern Anatolia from western and Central Anatolia, and in fact, divide the European continent at its southern limit from all of Asia and Africa. The Bosphorus and the Dardanelles also constitute effective obstacles to the diffusion of land and fresh water animals. Of secondary importance are the partial barriers constituted by Dinar, Baba Dag, etc. which divide the Aegean region with its Mediterranean climate and Central Anatolia characterized by its dry steppe climate; the mountain ranges of Munzur, Kargasekmez and Palandoken which constitute a second barrier between eastern Central Anatolia and northeastern Anatolia by defining the southern limets of the Firat Valley; and kelkit Mountains, which join in a narrow corridor Central Anatolia and tha Kars-Erzurum plateau. Other significant geographical features are mountains which either serve as refugia or represent extreme climatic character and therefore constitute isolated habitats for a variety of groups of living things. From the west to the east, these are Uludag, Kaz Dagi, Baba Dagi, Sultan Dagi, Akdag, Erciyes Dagi, Ilgaz Dagi, Cilo Dagi, Süphan Dagi, Nemrut Dagi, Great and Small Agri mountains. Anatolia is dotted throughout by conical mountains and plateaus. This geographical feature implies an increaser reception of high energy radiation which accelerates the process of mutation and, therefore, would exceptionally increase the degree of differentiation. The legendary Agri mountain, both due to its appearance and to its biological compositions, occupies an almost island-like, privileged position in eastern Anatolia. Hasan Dagi which is shown here in June, is one of the most biologically diverse mountains in Central Anatolia. Despite the unfavorable developments of recent years, Turkey is one of the countries which have most successfully conserved their ecological structure. Many species which have been conserved only artifically by special measures in other parts of the world, can still be found in many localities of Anatolia, in the full beauty of their natural habitat. Turkish governments have come to the understanding that the preservation of this natural ecology in Anatolia, and thereby the environmental conservation of many species in their natural habitat, is of utmost importance. With increasing sensitivity they have tried to instill this environmental protection consciousness both in the organs and agencies of the state and at the level of public opinion. It is possible that by the end of the century, Turkey will be the only northern country where one may see in their natural habitats, those species that we know intimately, such as deer, wolf, lynx, bear, gazelle, leopard, and many species of birds and reptiles. Completely natural forests and other vegetation cover may also remain as their unique examples in Turkey. Turkey is surrounded on three sides by seas. The Black Sea on the north, which had until recently been a rich invironment for sea life, is unfortunately in the process of rapid decay, due in part to the pollution from the less developed littoral countries, but especially because of the industrial waste deriving from central European discharges into the Danube, which the river deposits into the Black Sea. It should be the historical task of all countries directly or indirectly polluting this beautiful internal sea, to begin without delay to take the necessary measures to stop and reverse the pollution. The Marmara Sea which connects the Black Sea wilayteggs. Among the more important of these are Dalyan, Patara, the Göksu delta, Belek, and Fethiye-Kekova, which have been designated as Speciae recently implemented measures have not been sufficient in reversing the trend in this sea which serves as a passageway and an area for the laying of eggs for much sea life. The Aegean Sea on the West continues to remain clean despite some local pollution. The Eastern Mediterranean Sea still preserves its environmental cleanness and species diversity, although this diversity is not as great as in other regions. The turkish government has taken the necessary measures to conserve this natural wonder which should be considered as part of the common heritage of humanity, and has prevented excessive industrial development in the southern coastal area of the country. Why Should We Protect the Anatolian Environment with Greater Care than any Other Land? Anatolia is essentially a rich museum. The number of plant species found in all of Europe has been estimated at 12 000 ; the number discovered in Anatolia has already approximated this magnitude and there are grounds to believe that it will certainly surpass it as a result of future research. In the case of animal species, the estimates are that the number of species found in Turkey is around 80 000, or about one-and-one-half times the number found in the continent of Europe. Besides, for the reasons elaborated above, each species is represented by a varity of sub-species and races, adding to the existing wealth and diversity. It should also be mentioned that Anatolia is one of the most important and perhaps the most important of passageways for birds migrating between large land masses, in the north-south and south-north, but sometimes in the east-west, west-east directions. Twice a year, in its land and water habitats, Anatolia offers hospitality to these migrating birds, some of which also reproduce here. With full consciousness of this pattern, Turkish governments have started intensive programmes in order to protect the habitats, and especially the qetlands, which accommodate these birds. The principal reason, however, why its ecology should be carefully protected is that, in addition to animal species, Anatolia is the birth place of many of the commercially important plant species in the world. Many among these now serve the economic needs of the human race after having been genetically improved. Examples of plant which are native to Anatolia include wheat, chickpeas, lentils, figs, cherries, almonds, apricot; many ornamental plants including the tulip, crocus, and the snowdrop. It might be argued that up to thirty percent of field cropps originally evolved in Anatolia. All this, of course, indicates that the wild forms of many of these domesticated plants, in various genetic compositions, may still be found as the native plants of today’s Anatolia. Future research attemting to develop more productive and more resistant breeds, as well as bio-technology in need of genetic material will rely closely on the conservation of wild forms that currently exist in Anatolia. Turkey has closed some of its most beautiful coastal areas and bays to toursim in order to protect sea turtles which find accommodation and egg-laying opportunity only in a few places in the world. These sea turtles (Caretta caretta and Chelonia mydas) and the Nile turtle are now being protected by exemplary legislation in order to provide them with an environment in which they can reproduce, although these measures translate into a loss of much foreign exchange through foregone tourism revenue. This protection extends to the entire eastern Mediterranean coast where the construction of polluting industry is largely prohibited. It may well be argued that the cleanest area of the Mediterranean Sea is found in the southern shore of Turkey. It is well known that biological diversity has been preserved here, as can be attested to by diving enthusiasts who witness the clean waters teeming with natural life. Chelonia mydas and Caretta caretta are the two sea turtle species which make their home on Turkish coasts. Chelonia mydas is generally found on a few beaches in the eastern Mediterranean (Kazanli, Akyatan, Samandagi); while Caretta caretta is commonly found on almost all the other beaches in the area. 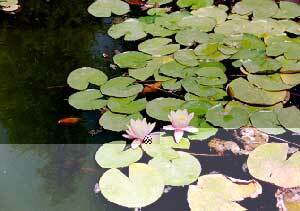 Akyatan is the process of being designated as a Nature Preserve. There are seventeen beaches on Turkey’s Mediterranean coast where sea turtle have been found to lay eggs. Among the more important of these are Dalyan, Patara, the Göksu delta, Belek, and Fethiye-Kekova, which have been designated as Special Environmental Protection Zones. Attention is also being paid to beaches other than those found the two designations. For instance, Kazanli and Kizilot areas have been discovered to contain a large number of nests and it would seem that these two beaches too will have to receive the status of protected zones. The attempts of the Environmental Ministry for the protection of these turtles have been useful not only for their actual protection but also because they have resulted in raising the environmental consciousness of the public. Egg-laying areas of two important sea turtle species (Caretta caretta and Chelonia mydas) have been put under strict protection. The soft-shelled, (Trionyx triunguis triungularis) which is also rather rare, is under protection in Köycegiz as well. Turkish governments have also implemented various measures of protection in Birecik where the bald ibis (Geronticus eremita) lays eggs. The population of bald ibis has been in decline and the species is in danger of extinction. Turkey is accepted to be the primary or the secondary genetic center for some plant groups at the level of genus or species. The following are among the genera whose genetic center is considered to be in Turkey: Achillea, Allium, Astragalus, Centaurea, Draba, Iris, Salvia, Verbascum. Turkey exhibits a rich diversity of wooded plants as well. Many of the tree and bush species which are endemic to and found frequently in mild climatic zones also grow in Turkey. These constitute single-species or mixed-form forest areas. Animals living in such forest areas present a parallel diversity depending on the specific features of the forests. Quercus is an important example of a genus of tree that grows in Turkish forests. Eighteen species of this genus grow naturally in Turkey , two of which (Q aucheri and Q vulcanica) are native to the area, while in all of Europe there are 27 species. 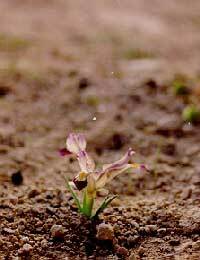 Turkey is also noteworthy for the presence of woody Rosacaea group. The Amygladus, Crataegus, Prunus, and Pyrus genera of this family are well represented by various species, some of which are native to the country. The large number of species of fruit trees and their absolute volume when compared to other Middle Eastern countries also suggests that such fruits might have originally evolved in Turkey. Turkey’s wealth in plants is apparent in the fact that 3000 out of the 9000 flower plants are endemic to the area. This exceeds the total number of endemic species found in Europe (2500) and underline the ecological importance of the country. In addition to this rich diversity of flora, Turkey is also considered to be the genetic center for certain cultivated plants, some of which are: Amygladus=almond, Pyrus=pear, Avena=oats, Hordeum=barley, Secale=rye, Triticum=wheat, Ficus=fig, Vitis=grapevine, Pisuum=peas, Vicia=broadbeans, vetch, Linum=linen, Allium=onion, garlic, leeks, Punica=pomegrenate, Ceracus=cherry, sour cherry. There are also some plants found in enclaves, such as Liquadambar orientalis and Dorystoechas hastata, which are relic distributions of the tertiary period. These grow in the southeastern corner of Turkey. With its rich Alpine, or high-mountain flora, Turkey constitutes a link between central and southern Europe on the one hand and the Irano-Turanian plant zone on the other. From the point of view of its plant geography Turkey belongs in the Holarctic zone, but with the distinction that elements from three different groups of the flora of this zone (Irano-Turanian, Mediterranean, and Euro-Siberian) can be found in it. For this reason, from the point of view of plant diversity, Turkey presents the characteristics of a continental land mass rather than a country. The most commonly encountered types of vegetation in Turkey are shrubs, needle-leaf or deciduous forest trees, and steppe-type vegetation. Less frequent formation also exist owing to the extent of the ecological differentiation. There is a great variety of forests ranging from cone-bearing, needle-leaf evergreen forests to forests with deciduous trees belonging to the mild climatic zone. There are also gallery-type forests along rivers in Central and Eastern Anatolia. There are single-species forests of both evergreens and deciduous trees, and also mixed forest formations. The most frequently occuring evergreen forests consist of Pinus brutia, and P. nigra subsp. pallasiana, which are found mostly in the Mediterranean coastal belt. Other needle-leaf forest trees are Pinus sylvestris and Abies nordmanniana (in northern Anatolia), A. cilicia (on the Taurus mountain range), Cedrus libani (also on the Taurus), and Picea orientalis (on the north-eastern mountain range), either in single- or mixed-species formation. The most commonly occuring deciduous forest trees are Fagus orientalis (in northern and western Anatolia) and various Quercus species which are widespread. These trees are more often found in single-species forests, but may also be seen in mixeed formations. Other common trees, mostly seen in mixed forests, are Castanea, Acer, Fraxinus, Tilia, Sorbus, Carpinus, Alnus, Platanus, Salix, and Populus. Of great interest among forest trees is the liquidambar tree (Liquidambar orientalis) which is a relic of the tertiary period. This species is concentrated in the humid valleys of southeastern Turkey where the water table is close to the surface. The diffusion of this species is very limited; the only other location in the world where the liquidamber tree grows is a small nimber of Aegean islands, although it is known that its incidence was very wide during the tertiary period. Phoenix teophrastii (date) has recently been discovered growing in some bays in the Datca Peninsula, the southwestern corner of Anatolia. Until its discovery in Turkey, this tree was thought to exist only on the island of Crete. Twenty-six percent of Turkey’s surface area (20 million hectares) is covered by forests. 9 million heacters of the forest is in good condition, while 11 million hectares has degenerated. Most of the forest land is natural forests; this is in contrast to European countries where the extent of the natural forest is very small (only 5%). Attempts at afforestation have accelerated in recent years with a target of 300 000 hectares of forest trees to be planted per year. Turkey’s forest land is found on the mountains bordering the Black Sea, Marmara, the Aegean, and the Mediterranean, and is located in an altitude belt of 0 to 2000 meters. Central and eastern parts of the country are much less heavily forested. Small concentrations of needle-leaf forests (Pinus nigra and P. sylvestris) are found in some protected locales of Central Anatolia. In both regions, however, the most common forest trees are species of the Quercus family. Some forest trees occur in enclaves outside of the area of their usual diffusion. A most striking example is the case of Fagus orientalis which grows in forests on the famous Amanos mountain range in eastern Mediterranean, and on some mountains in the Adana area. Both these enclaves are outside the area of its normal diffusion which are the mountains of the Black Sea region, such as in Artvin and Coruh valley. Some trees and bushes such as the Platanus orientalis and the Punica granatum, grow in river valleys in the Black Sea region where they find a suitable environment, and in vallays in eastern Anatolia. Maquis shrubs are most commonly seen in the littoral areas of the Mediterranean, the Aegean, and the Marmara seas, in the altitude range of 0 to 1000 meters. They are found in the Black Sea region as well but in a discontinuous fashion and in enclaves. Some maquis-type shrubs are found in the interior regions along river beds, following the course of rivers from the sea up to their sources. Steppe-type vegetation is more common in the Central and Eastern Anatolian regions. If steppe-type vegetation and Alpine or high-mountainous vegetation, which show a physiognomic resemblance, are grouped together, this type of formation is also found in the mountains of southern and northern Anatolia, in altitude ranges above 2000 meters. It is widespread in the dry and cold climatic zone, although anthrogenic, or man-made destruction is clearly visible. In the low and flat areas where this type of vegetation can be seen, the Artemesia (wormwood) and Thymus (thyme) species are common. Also found are species belonging to the Graminea genus and other typical steppe species which do not occur in other regions. In higher altides and hill slopes the Astragalus species (tragacanth shrub), Onobrychis cornuta, and Acantholimon species become more common. Within these categories, Genista, Thymus, Verbascum, Phlomis, Salvia, Cousinia, Stachys, Siderits, and other genera are represented through the presence of a large number of species. In places which have not suffered from over-grazing, the Graminea species (stipa, festuca, avena etc.) are especially visible because of their relative height and extensive occurrence. Within the steppe-type vegetation group, the composition of plants varies between the eastern and western parts of the country. The species composition of high mountainous vegetation also varies between northern and southern mountain ranges. In addition to the most commonly occurring plant types mentioned above, there are also communities of flora which are found under special ecological conditions: these consist mostly of hydrophilous plants and halophytes (plants growing in salt marshes).Species of the Cyperaceae and Juncaceae genera predominate among the hydrophilous plants of the wetlands while species of the Chenopodiceae genus predominate in salt marshes. The environs of the Salt Lake in Central Anatolia are especially rich in endemic halophytes.